Hey, you like shooting things? Good. 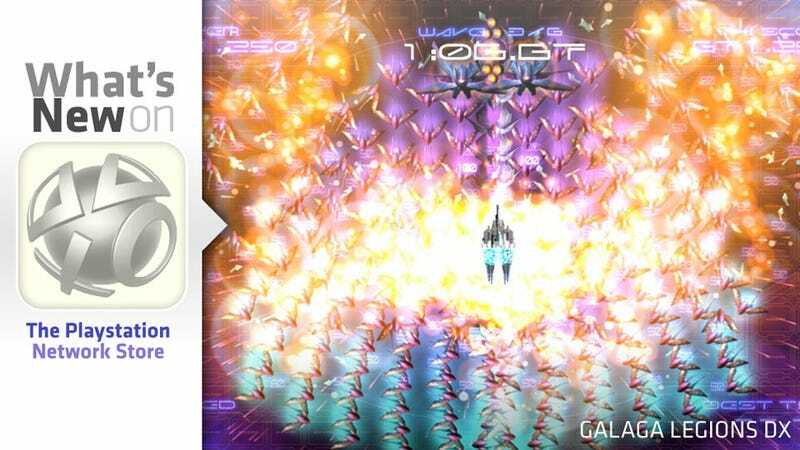 Because this week's North American PlayStation Store refresh has, like, at least three different variations on the shooting things genre, including Galaga Legions DX, Warhammer 40,000: Kill Team and Section 8: Prejudice. If shootin' stuff doesn't agree with you, there's something else you may like: the downloadable release of Dragon Age: Origins, 12 GB download that will put your PS3's hard drive and internet connection through its paces. New downloadable content for LittleBigPlanet 2, Rock Band 3 and Brink might also interest you. Here's everything that's new for your PlayStation 3 and PSP this week on the PlayStation Store.